What’s up OC! In The Groove Record Swap will be popping off @martysonnewport Sun. Feb 10th! 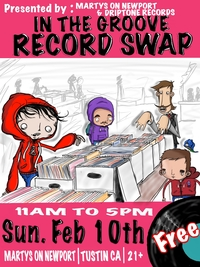 Loads of vendors selling 1000’s of records, CD’s and tapes. All styles of music.